Michael Petersen received his Ph.D. from the University of Iowa. He did his undergraduate and master’s work in accounting at Brigham Young University. 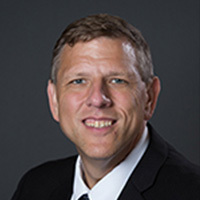 He has taught both undergraduates and master’s students at Arizona State University, Thunderbird School of Global Management, Utah State University, and North Dakota State University. His teaching emphasis is on financial and managerial accounting. He has taught introductory courses as well as advanced courses covering many topics, including financial accounting, managerial accounting, corporate financial reporting, and financial statement analysis. His research involves cost drivers, performance measures, and downstream revenue drivers.